Disinvestment-bound Air India is seeking loan worth over Rs 1,100 crore for modification of two Boeing aircraft scheduled to be acquired next month for ferrying VVIPs, according to an official document. These planes will be used to ferry the President, Vice President, and Prime Minister. In a tender document, the national carrier said it would like to avail a bridge loan of up to USD 180 million to finance the cost of modification. “Government of India has indicated that they would issue its guarantee for the financing cost of modification of the two B777-300 ER aircraft for a period of 12 months or less,” the document issued last week said. These planes will undergo re-configuration. The proposed loan amount will be availed during the period from January to April 2018. The first installment of USD 135 million would be taken next month, while the remaining amount will be borrowed in a quantum of USD 15 million each in February, March and April, respectively. Last month, an Air India official had said after required modifications, the two planes will join the fleet used to carry the President, the Vice President and the Prime Minister. According to the airline, no commitment fee would be paid to the lender for the USD 180 million loan. “Prepayment/ short closure of the loan should be allowed without any extra cost to Air India as the loan would be repaid as soon as the funds are made available by Government of India,” it added. “The Indian Income Tax Act imposes withholding tax on interest payments to lenders outside India. The rate of withholding tax on interest payments will be considered in a financial evaluation of the offers to determine the all-in cost of your offer,” the document said. 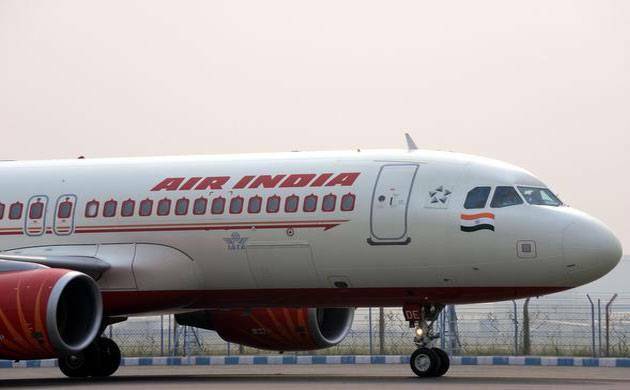 Last month, Air India had sought a loan to the tune of USD 535 million to finance the acquisition of three Boeing planes, including the two aircraft to be used for ferrying VVIPs. At that time, the amount was around Rs 3,460 crore. Air India has a debt burden of more than Rs 50,000 crore and these loans would further increase the debt level. In 2006, Air India placed orders with Boeing for 68 aircraft – 27 Dreamliners, 15 B777-300 ERs, eight B777-200 LRs and 18 B737-800s. Of these, the state-run carrier has already taken the delivery of 65 planes. At present, the flagship airline has a fleet of 115 aircraft. The government is in the process of finalising the modalities for the strategic disinvestment of debt-laden Air India as part of efforts to revive the carrier.